We offer landscaping, excavating, sprinkler systems, turf management, tree care, lawn care - design, installation, & maintenance for residential, commercial and industrial clients. With the limited amount of summer time we have in Northern Michigan, who really wants to waste that precious time moving sprinklers and watering plantings by hand? 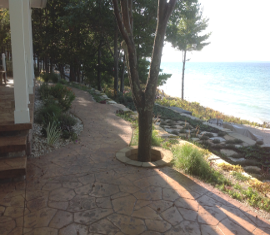 A sprinkler system is no longer a luxury in Northern Michigan, it is a necessity! Why fight to keep a heathy, lush and beautiful landscape. 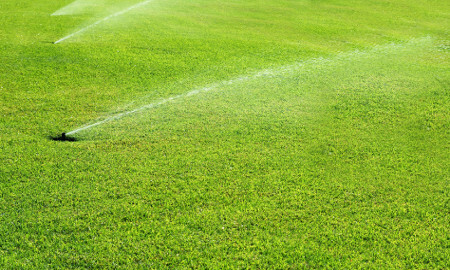 Let a sprinkler system by Keller Caretaking take care of the constant precise watering that is required. Keller Caretaking’s sprinkler system specialists will work with you to plan your new installation, existing system add-on, or reconfiguring your system due to changes in yard conditions and new landscaping. You will save time – your system will do the watering for you, no dragging hoses and no hand watering plantings. 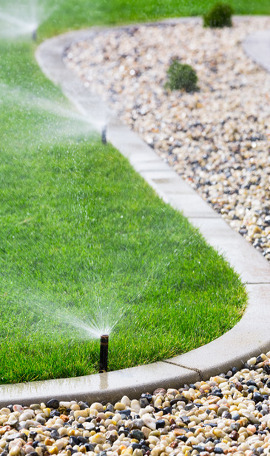 You will save water – sprinkler systems use less water than watering by hand. You will save money – your water bill will be lower and your landscape will be healthier and live longer. 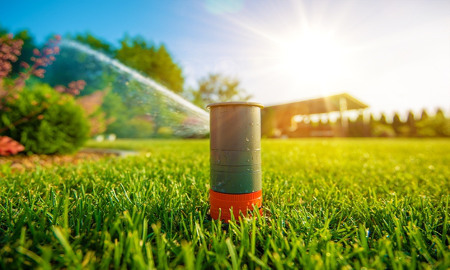 After your sprinkler system is installed it is important to maintain your sprinkler system to ensure that the system will work to efficiently keep your lawn green and your plantings thriving through the growing season. Keller Caretaking’s sprinkler system specialists will work with you to devise a maintenance plan that fits the needs of your property as well as your budget. We provide Spring time system activations, seasonal adjustments, and winter shut-down and blow out service. We also provide backflow preventer certifications. Have you added new lanscape beds, new plantings, a new lawn area, or changes in lawn conditions that needs watering? Let Keller Caretaking’s sprinkler system specialists reconfigure your sprinkler system. Whether it is a simple drip line install or a complete system reconfiguration Keller Caretaking has your watering issues covered. After contacting us, we set up a mutual time for one of our sprinkler system specialists to stop out and visit you for an initial consultation. The purpose of this meeting is to get a sense of what your watering needs entail for your home or property. Our sprinkler system specialists will do a site analysis of the property. The specialist will be documenting the sunlight conditions, where beds and plantings are located, size of lawn area, locations of utilities, etc so that when it comes to developing ideas, proper sizes, locations, and materials are used in the design. Initial thoughts and ideas from both parties will be discussed to try and narrow down your watering needs. Our sprinkler system specialists use the information from that meeting to create a custom hand drawn landscape plan, which is then presented to you. Once you have a complete understanding of the design, any necessary changes or adjustments will be made to meet or hopefully exceed your vision. At this point we will evaluate the complexity of the project and make a plan on how to proceed. For small landscape projects we can use the hand drawn landscape plan to work up a final quote, present it to you, and once you sign off on the plan you will be given a tentative start week for your project. As we get closer to your starting week we will contact you to nail down an exact day and time once we have a better grasp of the weather and how our current projects are progressing. For more complicated designs our hand written plan will be taken to the “drafting table” where our professional sprinkler system designer will use his expertise to produce a solution that will fulfill all your watering needs for this project. After a verbal agreement on construction costs, a formal contract will be drafted up. In order to be placed on our construction schedule, the contract must be signed along with a deposit of usually one third to one half the project cost depending on size of the project. You will be given a tentative start week for your project. As we get closer to your starting week we will contact you to nail down an exact day and time once we have a better grasp of the weather and how our current projects are progressing. Our experienced sprinkler system installation crew takes the plan from paper to reality, using a range of high quality sprinkler system hardware that was layed out in the contract. Success of your sprinkler system is dependant upon proper care of it. After your project is complete we will setup a maintenance schedule and/or provide you with instruction on how to properly care for your sprinkler system. Keller Caretaking is a Professional Lawn Care & Landscape Maintenance Company that has been servicing residential and commercial accounts in the Greater Harbor Springs area since 1993. All our applicators are trained and licensed by the State of Michigan. 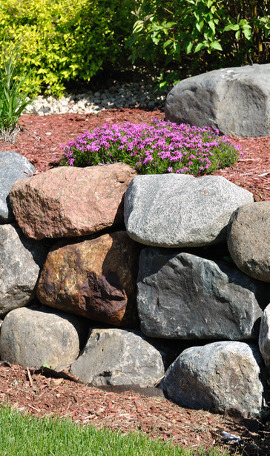 Keller Caretaking LLC provide the design and installation of many landscape construction projects including walkways, steps, retaining walls, patios, veneer stone, planting, trans-planting, drainage systems, lawn renovation and installation, paver driveways, cobblestone edging, and excavation.